Whether it’s aiding the victims of some far-off disaster or providing vital services to clients closer to home, the Red Cross relies on volunteers. But what makes someone volunteer — giving their time and often more to help people who are likely total strangers? 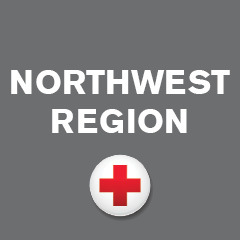 Volunteering at the Red Cross could mean driving just a few miles to a local office. But it could also mean flying thousands of miles to work under harsh conditions in an area wracked by storm or flood or wildfire. The answer to why people volunteer comes from Kristen Renwick Monroe — a professor of political science at the University of California Irvine and currently a visiting professor at Harvard University. The operative word is “altruism,” defined as an action designed to benefit another even at the possible cost to one’s own well-being. When it comes to the study of altruism, Professor Monroe wrote the book — literally. Her 1998 book, The Heart of Altruism, is still the definitive study of why some people spend their time — even risk their lives — to help others. Bill McMahon, a volunteer from Everett, WA photographed in Panama City, FL in October 2018 while supporting Hurricane Michael relief efforts. Those who volunteer to aid others will often say they wanted to give back to the community some of the good fortune that fell upon them. Monroe sees it as understandable that individuals who feel privileged because of what they have or what they have accomplished also feel a sense of responsibility. “With privilege comes responsibility,” she says. More important, she says, is that those who volunteer are high in the philosophical concept known as “agency.” That is the capacity of individuals to act independently and to make their own free choices. “People who are high in agency believe their actions can make a difference in the world,” she says. In short, individuals volunteer–at the Red Cross and elsewhere–because they feel the distress of others at a very basic level, and believe they have the ability to ease that distress. Some studies suggest that altruistic behavior can activate regions of the brain that signal pleasure but Monroe is not convinced. “The science to support such findings is not yet there,” she says. She recalls an episode from her own life, in which she rescued a baby who had fallen off a dock. One moment, she says, she was on the dock, The next she was in the water holding the baby. She does not recall plunging into the water. Further, she wears contact lens and can’t open her eyes under water. Yet to have grabbed the baby, she must have had her eyes open. Often, she says, those who act the most altruistically are not even aware of having done anything special. “They feel they only did what anyone would have done,.” she says. She even found this true among people who risked torture and death for rescuing Jews from the Nazis..
Can altruism be taught? Based on her own research, Monroe doubts that it can in any fundamental way. Those who volunteer seem to have this innate sense of humanity and of agency deep within them: It is what made them volunteer in the first place. David Chichester from Bremerton, Washington. His volunteer assignment while on deployment is managing a mobile laundry unit stationed at the #RedCrossShelter at UNC-Chapel Hill. One thing seems pretty certain. The fact that someone has volunteered for the Red Cross–or is considering volunteering– is an excellent indicator they possess the altruistic perspective Professor Monroe describes. What also seems evident is that someone with this perspective is very likely to perform altruistic acts when given the opportunity to do so.